Welcome to another Bassnectar Transmission. This episode is 44 minutes and 25 seconds of 10th-generation genre-re-wiring, exploring bass music through an open-minded lens, regardless of tempo, or even beat-structure… this sound clash aims straight for your body, with the intent to melt you down into a fidgeting, wobbling mess of enthusiasm and delight. 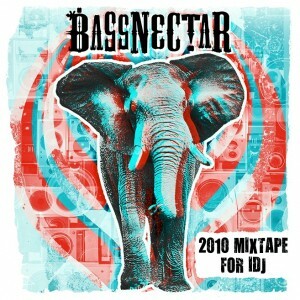 In addition to some of my favorite old records and samples, this mix features several brand new Bassnectar tracks, heaps of exclusive edits, re-edits, and re-re-re-edits. Lot’s of re. Lot’s of mix. Lot’s of edits. We tore our favorite drum & bass to shreds, injected hip hop with some pogo-stick bass, amped up the tempo of dubstep, freaked out the gypsies, gave a nod to the dreamy 80’s and ended up similar to where we started off: omni-tempo maximalism strikes again. Hey Chris. Big ups for the word love. really appreciate it. Hope you'll hit us up if you ever need anything.